Catalia Health brings together artificial intelligence, psychology, and medicine to deliver lasting change for patients with chronic illness through patient engagement to generate unique data, which is valuable to their customers. 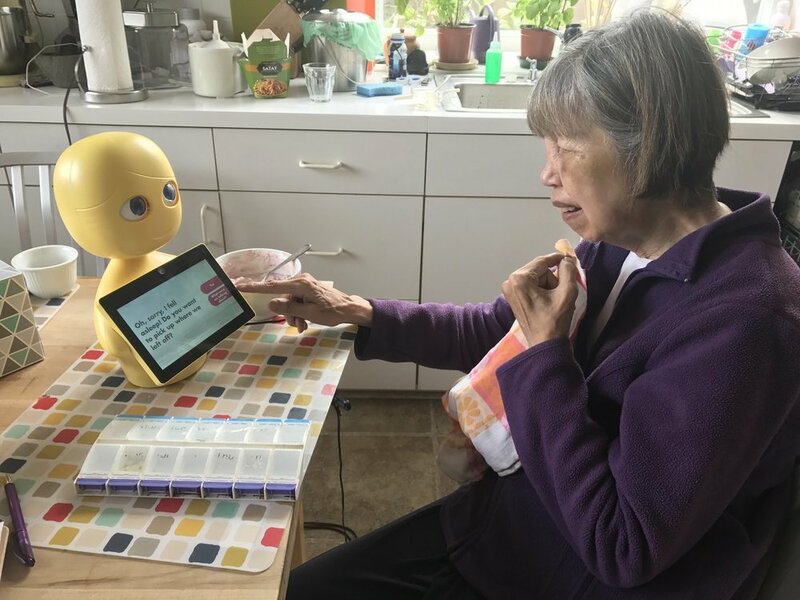 They engage in personalized conversations with patients to help address their ongoing healthcare issues with their interactive robotic coach, Mabu. In a randomized, controlled clinical trial, patients using the Mabu platform were engaged for 40% longer than patients using a computer. Years of psychological studies have confirmed that people are more likely to trust, remember, and form bonds with people when they’re interacting in person than over a mediated interface. The same holds true for technology. And we’ve built our technology to increase this effect. I’m an effective, scalable technology platform and Mabu’s AI-driven conversations are tailored to each patient. While the benefits of Mabu’s patient interaction is proven, it is a physical object and not portable enough to keep in a purse or backpack when the patient is out of home or traveling. With this constraint, how can a patient engage with Mabu outside of their home and continue to follow their care plan or get input from their providers? To extend Manu’s capabilities for data input and to deliver increased interactivity to the patients, we were asked to create a health portal. This would allow patients to not only input their medications and health data points, but also track their progress over time. 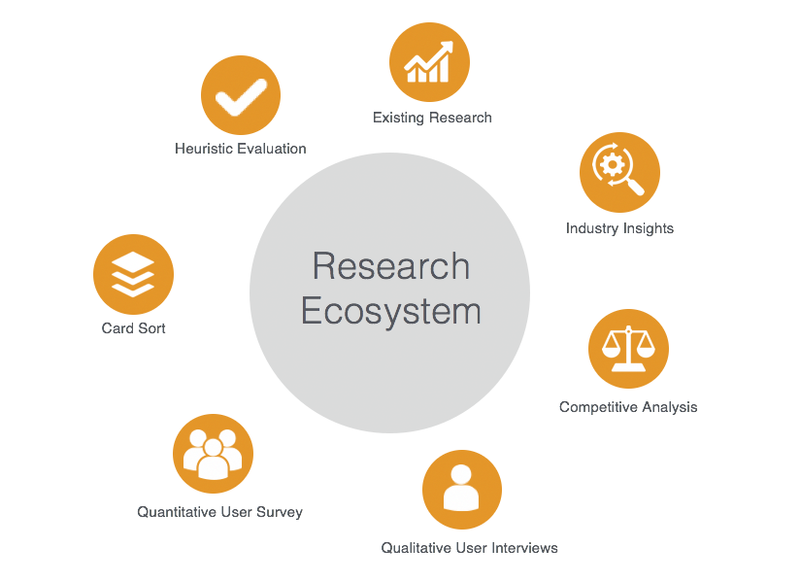 We leveraged Catalia Health’s existing patient research and built upon it with a patient survey, card sort, 1:1 interviews and industry research. The insights we gained validated the opportunity a health portal would create for patient care. The Independent Skeptic doesn’t want to be fussed over and is very DIY. They don’t want to become friends with their care team and are more likely to access their information via desktop or laptop. They are unlikely to have a smart device because they think it’s “too much.” They would like to have their medical records and appointment information within easy access when needed. The Open-Minded Explorer enjoys trying new things and is more likely to own a smart phone or a tablet (or both!). They are often casual gamers, as long as it’s fun and doesn’t take much thought. They are open to trying new things and see their healthcare as a collaborative effort between they and their care team. We had 77 respondents all suffering from some form of chronic disease. The survey ran for 7 days. The ease in communication was cited as a benefit to a portal, but they caution that it must be timely and relevant. The desire to be inclusive to both patient groups, we recommended a responsive web approach over creating an app-based experience. This would reach the largest number of users while being device and platform agnostic. From a content standpoint, it also serves from a single codebase, which creates content parity across all breakpoints. Based on meetings with Catalia Health, we went through several rounds of iterative design from low to high fidelity. We used a remote, unmoderated protocol through usertesting.com to conduct our usability study. Overall, the feedback was very positive. All the participants described the experience as ‘simple, clean and easy to use.’ The constructive feedback centered around nomenclature and suggesting the addition of a dedicated “test results” section. One pain point across all six users was the inability to create a “new” message on the “connections” page. In its current state, what we’ve designed has been well-received by users as ‘easy to use’ and refreshingly ‘clean and simple.’ It’s a welcome departure from the cacophony that’s encountered with other portal-type experiences. 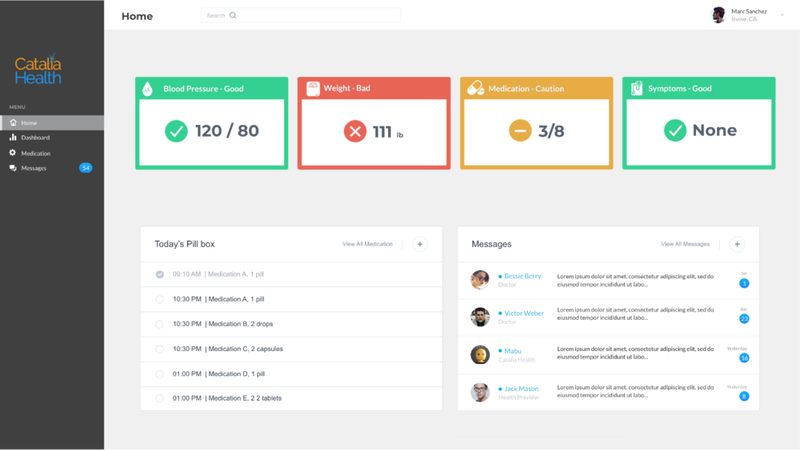 The next steps would be to further build-out what we’ve provided as a functional prototype, test with actual Catalia Health patients and use those insights to further refine the tool for their needs. Either in parallel or separately, depending on resources, the provider side of the experience will need to be crafted and the process we embarked on six months ago will repeat.